Eva Mickelson, 75, of Swiss Village Apartments, DeWitt, died Tuesday at her home. 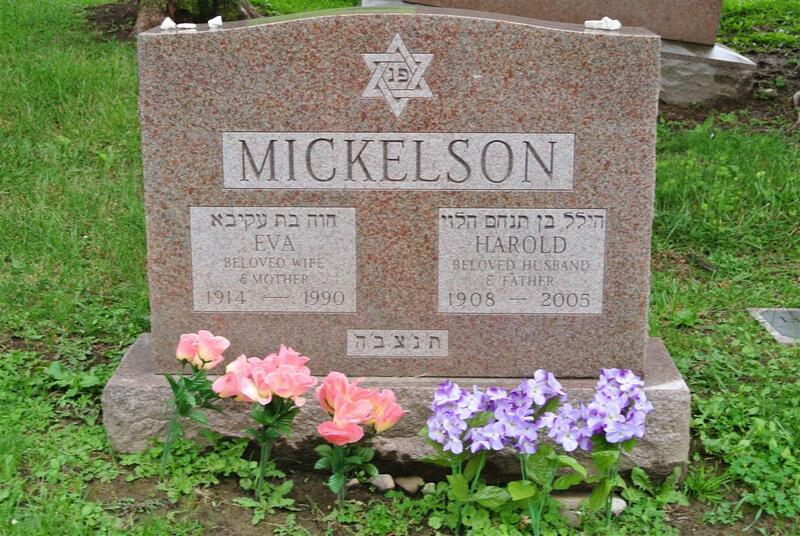 A native of Montreal, Canada, Mrs. Mickelson lived in the Syracuse area 63 years. She was a member of Temple Young Israel. 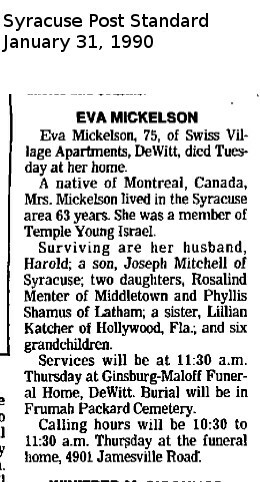 Surviving are her husband, Harold; a son, Joseph Mitchell of Syracuse; two daughters, Rosalind Menter of Middletown and Phyllis Shamus of Latham; a sister, Lillian Katcher of Hollywood, Fla.; and six grandchildren. Services will be at 11:30 a.m. Thursday at Ginsburg-Maloff Funeral Home, DeWitt. 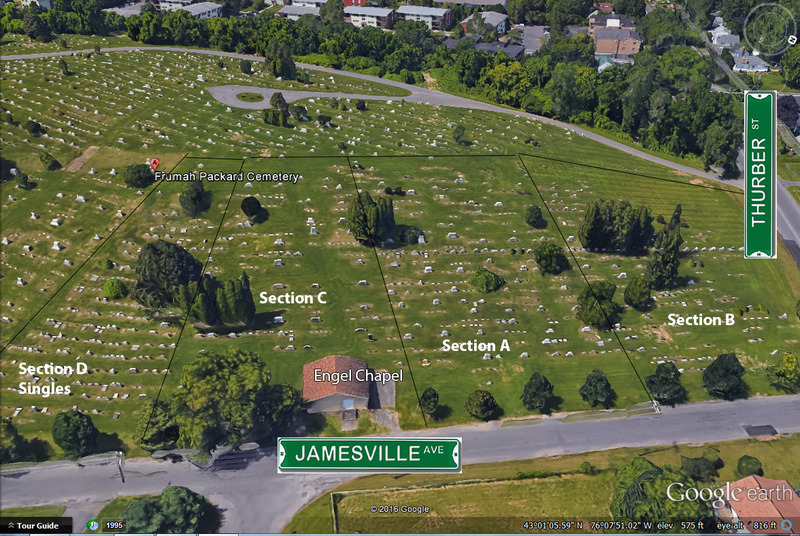 Burial will be in Frumah Packard Cemetery .